it's my girls' world: December Weekend Fun! Oh what a weekend of fun! 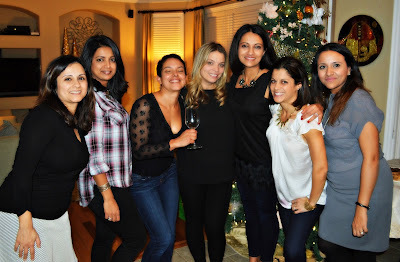 On Friday, we started off things right with my girls' appie night in. 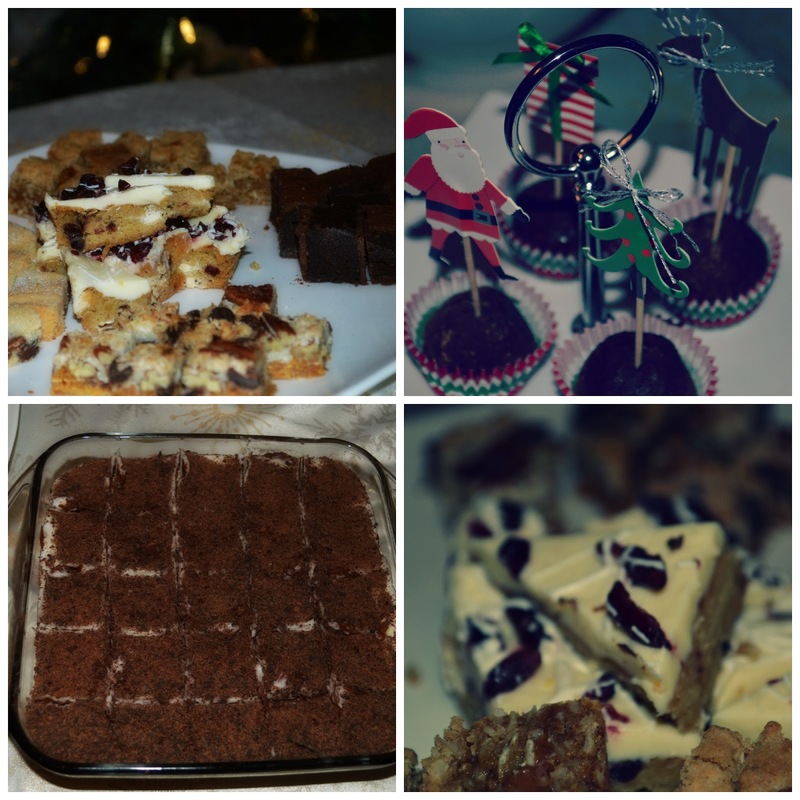 There was food, cocktails (this time we started with a pear cranberry concoction), wine, games and of course dessert! The ladies did not disappoint. 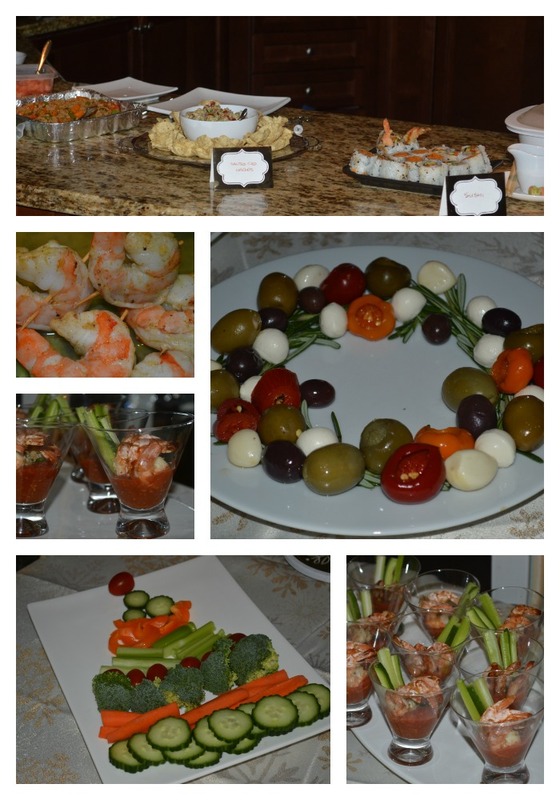 We had shrimp cocktail, sushi, salted cod nachos, tiget shrimp, baked fruit and nut brie, portabello mushroom crostinis, turkey lettuce wraps and mac' n cheese bites… Also check out the antipasto wreath and veggie tree we did! A couple of us went to bed at three that morning so Saturday was a lazy one with some sleeping in, park time, sign up for ski lessons and a trip to Candy Land for the littles. 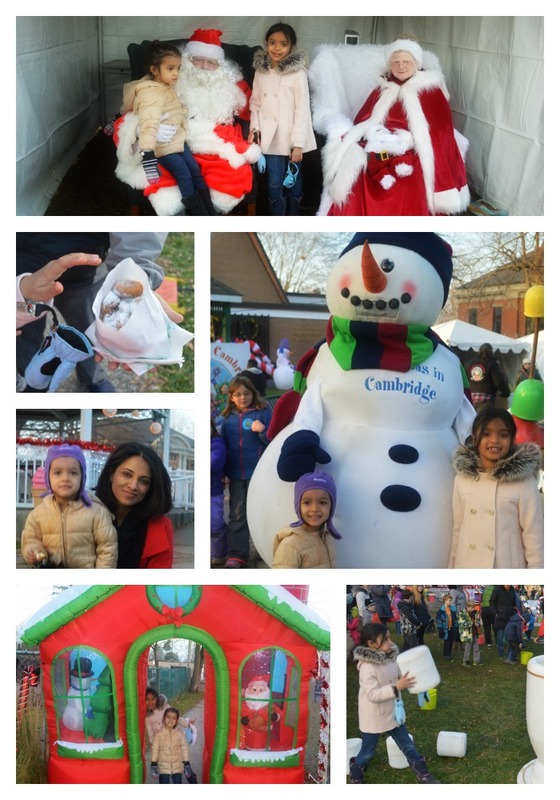 Candyland is an annual event in Cambridge with loads activities, entertainment, free games and of course candy!!! Darin and I did date night at a local restaurant later. 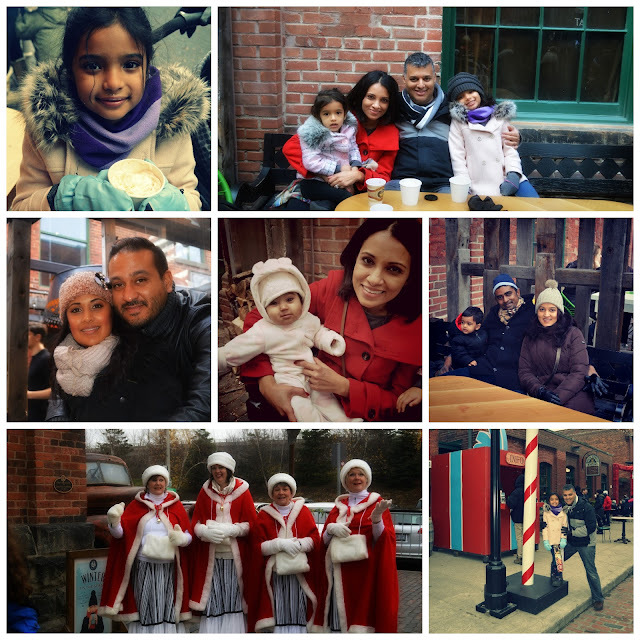 On Sunday we headed to Toronto to the Christmas market at the Distillery District with some family . 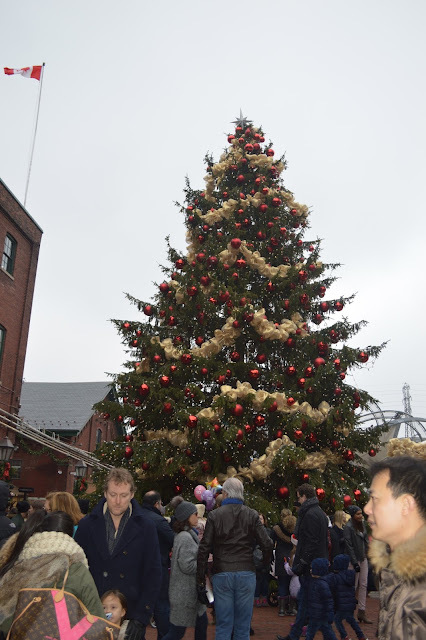 Did you know it's touted as one of the world's best Christmas market? Lots of Christmas vendors, entertainment, family activities, food and fun. We might have frozen our behinds off but mulled wine helped a bit. This tree was so beautiful in the night but I didn't take a picture my fingers were frozen and Cassia was taking her very merry time choosing a keepsake ornament. Yum...I could use one of those shrimp cocktail right now!! What a fun time with all your beautiful friends. I don't think I've ever been to TO in the winter- will have to add that market to my must see list! 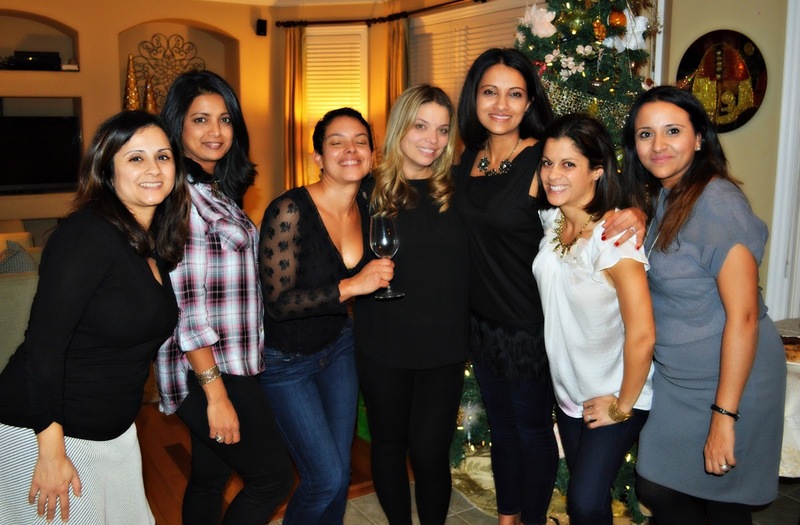 The girls night sounds fun and what an amazing spread. Yum! Sounds like a pretty awesome weekend. All those apps look amazing! Oh that food looks amazing. What a fantastic weekend lady. You are so lucky to have so many great places so close by! Your food pics never disappoint! There are so many fun Christmas things to do near you. I've never been to a Christmas market before. I think there's one near here, but probably not as big as the Toronto one.